A septic inspection is an important step in preventing inconvenient and costly repairs to a damaged system in Orlando, FL. 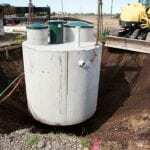 Septic Inspection in Orlando – A septic inspection is something that is always best left to the professionals. It is important that a septic inspection is performed thoroughly by experienced septic technicians who understand the ins and outs of your septic system and are able to quickly identify problems. A septic inspection is an important step in preventing inconvenient and costly repairs to a damaged system. If you suspect your septic system has a problem or you know it is time for preventative maintenance, give us a call today at Clark Septic. When a septic inspection service is performed by Clark Septic, we do more than just take a look around. We use a system of checks and techniques to ensure a proper evaluation of your system. This means we look at each piece of the system to ensure it is performing at its best. We inspect the inlet and outlet baffles, as well as the filters. We always test the pump to be sure it is working effectively. Finally, we perform a water load test. It is always an exciting time to be purchasing a home or commercial property in the Orlando, Florida area, but it is easy to get caught up in the excitement and forget to make sure the property is as ideal as you think it is. 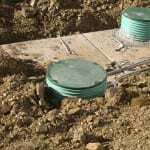 One thing that often falls through the cracks is making sure the septic system is in good condition. Here are the reasons why you should schedule a septic inspection with us at Clark Septic before closing. Thorough Inspection- A standard property inspection only looks for obvious signs that there could be a problem with the septic system. It rarely gives you information about the condition of the system or makes you aware of issues that are not yet symptomatic but no less important to resolve. Scheduling Maintenance- With a thorough septic inspection, you’ll be apprised of how soon you’ll need to call for maintenance, including septic tank pumping. If the septic tank is full, you are in the position of requesting the seller get it pumped out, since it is their waste after all. Chance to Renegotiate- Should our septic inspection show a problem, you will be able to renegotiate with the seller regarding the necessary repairs or walk away from a property if the system needs to be replaced and they are unwilling to cover the cost. Get Informed- A septic inspection is also a good time to learn the right way to care for the septic system, which is important if this is your first property that isn’t on a municipal sewer system. Trust our qualified technicians to help with all of your septic tank needs! Preventative maintenance, like many things around the home, can save you time and money. It is important that you have a septic inspection performed at least every three years. However, it is recommended that you have your system inspected annually. This is an important step in avoiding costly and unnecessary repairs. Many homeowners forget to have their septic system inspected regularly, leading to major problems down the road. If you are in the Central Florida area, including Orlando, Winter Park, Ocoee, Altamonte Springs & surrounding areas, let our team at Clark Septic provide you with professional and reliable septic maintenance services. At Clark Septic, we offer high-quality septic inspection services in Orlando, Altamonte Springs, Deltona, Ocoee, Pine Hills, Winter Park, and Winter Springs, Florida.